Ohh thanks you so much!!!!!!!!! You may have to reduce the resolution of the photo to upload it. There are apps you can download on your phone for free to change resolutions of photos though. Why? Because is slow to upload? 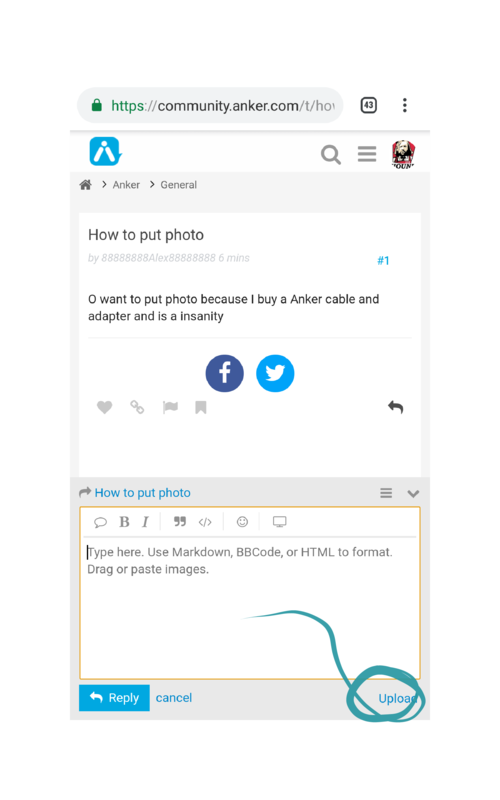 No, anker only allows images that are a certain amount of megabytes so it doesn’t take up too much room on there servers. Oh thanks for you recommendation but I already published the photo, can you recommend me a good app please? I use iOS. The app I use is called “image size”. If it let you post the image then there is no reason to reduce the size. If it’s too large they don’t let you publish it. But if you ever do come across an image that’s too large you can use that app. Oh thanks very good the app!